We’re pleased to say my sister and fellow CamOpt Director, Lorna Van Der Merwe (nee Cameron but she married a South African), has had a little girl – Anna. Lorna is such a trooper that she was in work yesterday morning just overseeing some finance stuff and said she felt better than she has all pregnancy. 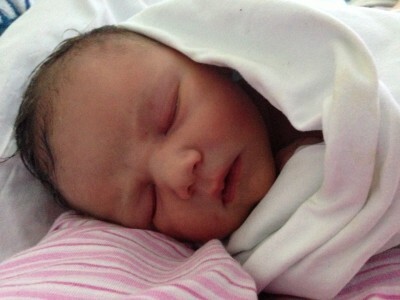 5 hours and 8lb 9oz later at 8.31pm out came Anna – Mum and baby fine. We think she looks a little like Dorothy which is lovely.